Neighbours is an Australian television soap opera. It was first broadcast on the Seven Network on 18 March 1985. It was created by TV executive Reg Watson, who proposed the idea of making a show that focused on realistic stories and portrayed adults and teenagers who talk openly and solve their problems together. The series storylines frequently focus on family problems, intergenerational clashes, school problems, romances and domestic issues. 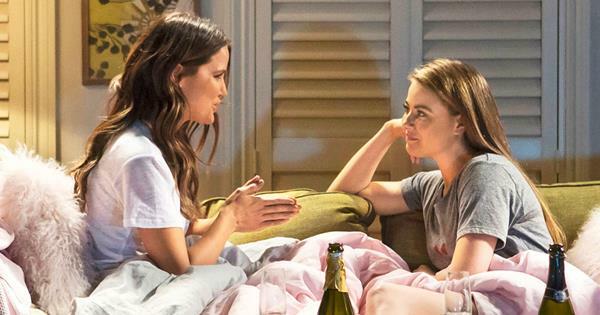 Chloe Brennan and Elly Conway are portrayed by April Rose Pengilly and Jodi Anasta.